Having a hard time making ends meet? Landlord breathing down your neck? 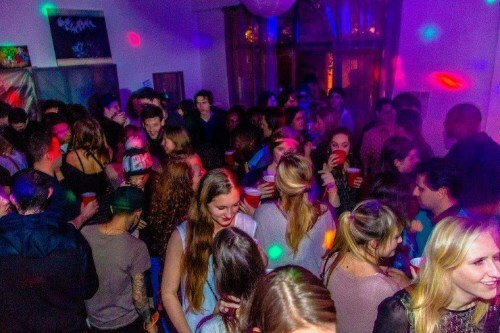 You might want to consider organizing a house rent party. The last decade has seen a revival of this old tradition. Back in the 1920s people who were struggling with rent would open the doors of their apartments to friends and neighbours. In exchange for a small donation, they’d offer music, food, and entertainment from dusk until dawn. Some people believe rent parties were the original raves.